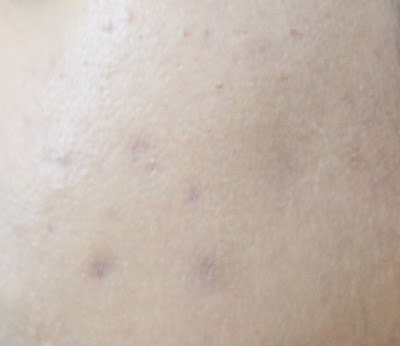 In March, I had told you about the MEG21 skin care products and posted photos of my skin before starting out on them. This is the results post. For those who came in late, MEG21 is a skincare range that contains Supplamine, which helps counter glycation. In turn, glycation is the process through which excess sugar binds with elastin and collagen molecules in the skin, causing ageing. Supplamine contains two aminos - the first synthesises elastin and collagen while the second prevents sugar from binding to them. After seven independent clinical trials, Supplamine is now established to nullify toxic sugars in the skin. I began this skincare routine on 18 March 2015. You are supposed to see positive results in 28 days, but I have been following the routine for six weeks now. Here is my verdict on each product. Developed by post-doctoral fellow Dr Annette Tobia during diabetes research, the MEG21 range is now made by Dynamis Skincare Inc. The products won Dermascope's Aesthetician's Choice Award earlier this year, in the hand cream and the best moisturiser for the neck categories. The Bright and Firm Eye Treatment has a buttery-creamy formula that reminds me of Philosophy Eye Hope. I am almost done with this bottle, so you can expect to see this in an empties' post soon. This is a hydrating eye cream and it didn't give me any milia. I feel my eye area looks softer and brighter - see the before and after photos below. I cannot claim my dark circles are gone, as my sleep-wake pattern (What IS sleep???) is at its worst right now. Both photos are in natural lighting and the before- photo is from my previous post about MEG21. The Refine and Refresh Moisturising Toner had a liquorice scent and was cooling on the skin. Toners and I usually don't get along very well. They make my skin flake up like no tomorrow. This didn't do much for me, to be honest. And there was some flaking, so I stopped using it after a couple of weeks. This was the one product in the range that did not wow me. Although the Smooth Radiance Face Treatment comes in a jar, there is a pump in the lid so you don't dip your fingers in the product. This is a thick product, but contrary to my apprehensions, it did not break me out or make me look oily. A little goes a long way, and applying primer and makeup over this is a breeze. Now I prefer letting the results do the talking, so I have moisture meter readings (from my dry jawline) for you below (ignore my horrible placemats). That sounds positively dangerous, but the fact is that all those acne creams, particularly benzoyl peroxide 5% and spot treatment of 10%, made my skin drier than the Sahara. To say that these are dramatic results would be putting it mildly. Anything above 30% is good. If I had a bone to pick, it would be the presence of parabens in this cream, but since it is just for the face, and I only use a couple of dabs a day, I don't think there is a cause for concern. The Cell Therapy Antioxidant Boost is my favourite in this range. The lightweight texture (see photo on the right) reminds me of Lancome Advanced Genefique. This has improved my skin texture considerably without breaking me out. I have almost run out of this bottle as well. Here are the Moisture Meter readings from my cheek after using the Cell Therapy Antioxidant Boost. The toner did not do anything for me, but I really like the other three MEG21 products I tried. The Antioxidant Boost is now a favourite serum and the Smooth Radiance Face Treatment hydrated my skin very well, as the moisture meter readings show. The eye cream and antioxidant boost are almost over; I will be buying these two products next month. I am also thinking of trying their Redness Relief (for acne), cleanser and hand cream. It would be interesting to see if glycation is behind my adult acne and if this cream will take care of the spots. MEG21 products are available in several countries. To find out if yours is included, go here - you will also find a list of authorised online retailers. What skincare routine do you follow?